I do not recall anyone ever being excited about Pete Kozma (1); from the instant he was drafted Kozma combined the low ceiling of a super-polished college star with the creaking-rope-bridge floor of a toolsy high schooler. He signed cheap. In the supplemental round they added Clay Mortensen (1s), who was a polished college star, and then they didn't draft another high schooler until the seventh round. The high-ceiling guy they drafted in between, with astonishing power and a first-round asking price and an inkling he might just go back and hit home runs in college again (Kyle Russell ), didn't sign. So a lot was riding on the 2008 draft, just as the 2004 draft (forever headlined by Jarrett Hoffpauir's (6) 21 MLB appearances) made us desperate for every piece of news about Colby Rasmus and turned Tyler Greene (1), Mark McCormick (1s), Bryan Anderson (4), and Daryl Jones (3) into prospect-watcher totems. 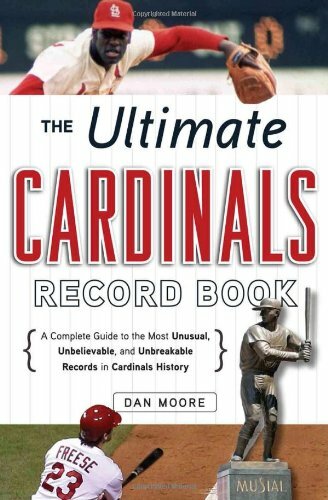 The Cardinals responded, in 2008, by opening the wallet—they had an unusually high pick, No. 13 overall, and they spent it on Brett Wallace (1), the round mound of prospect-watcher rebound. Where he would do all his super-polished high-ceiling hitting was a minor concern, but so long as pitchers in the low minors were overmatched most of us were willing to pretend he was a third baseman. Now I should move forward a few paragraphs: He didn't hit. He didn't not hit—that's Zack Cox (1), 2010—but he proved to be a perfect match for the low minors, which was not part of our agreement. About a year later he was part of the endlessly rumored Matt Holliday trade, and it was no longer our business to pretend he was a polished college hitter whose bat could play at first base. Here in 2015, it turns out, we were right to be nervous. He isn't. Shane Peterson (2), the other polished college bat the Cardinals traded, wasn't either, although he had an excellent season last year in Sacramento. Now we're at Niko Vasquez (3). Even before Wallace and Peterson were gone—just as it was becoming clear that Wallace would not hold up his end of our legal fiction—we prospect-watchers pawed through the draft, looking for players to champion early and ride through the system into the majors. Niko Vasquez signed in time to play short-season ball the same year and so was eligible early, hitting .317/.416/.462 and flattering our increasingly sophisticated sabermetric identities by drawing walks while also being a shortstop. There were pitchers, too, who signed fast: Scott Gorgen (4) (big curveball, Jeff Luhnow tells me), who tore through Batavia, was mine. It helps, also, if you have a funny name: Jonny Bravo (23), 48 strikeouts in 35 Rookie ball innings. And there was Mitch Harris (13). Here is a magic incantation for creating a sleeper prospect: "He's a first round talent, only—" only he won't sign, only he is a 27-year-old Cuban strongman we found roaming the back fields, only he is Mitch Harris, and he's just graduated from the Naval Academy, and now he has to be in the actual Navy for five years. Five years is just about all the time there is for sleeper prospects, but the Cardinals drafted him with the thought he might get out a little earlier, and he hung around in the background while all around him sleeper prospects woke up and found something else to do. Vasquez ended up in full-season ball and hit .197/.295/.250 there; back in short-season ball, he hit .209/.283/.293. Aaron Luna (9), who was kind of a second baseman and hit .253/.374/.484 in the Florida State League, kindly took his place. I liked Charles Cutler (14), who hit .322/.408/.430 between both A-ball leagues and walked more than he struck out and was an actual catcher. The Cardinals draft Shelby Miller (1), who was as expensive as Brett Wallace but as an added bonus had not gone to college. Prospect watchers stung by Niko Vasquez had Matt Carpenter (13), who was very old but walked a lot, and Robert Stock (2), a first round talent only he had struggled a little in college, and Matt Adams (23) and Anthony Garcia (18) and Jonathan Rodriguez (17) who either had started hitting home runs or seemed like they might soon. Scott Bittle (4) was a first-rounder with a pitch that has a name ("The Thing") only—his shoulder might have come pre-ruined. Luna and Cutler hit again in 2010. Scott Gorgen doesn't stay healthy. The Cardinals drafted Cox and Tyrell Jenkins (1s) and Jordan Swagerty (2) and John Gast (6) and Greg Garcia (7) and time accelerates for the 2008 sleepers. 2011: Jermaine Curtis (5) hits .315/.414/.435 in AA but it's about a year too late for that. Alex Castellanos (10) moves to second base, starts hitting home runs, and becomes perfectly weighted trade ballast for Rafael Furcal before we can get too attached. Xavier Scruggs (19) hits 21 home runs in 400 at-bats and has a cool name, but Matt Adams beats him to the role. Aaron Luna is still hitting, but not well enough to move to the outfield. Scott Bittle has shoulder surgery and is now in medical school looking for a new shoulder. Aaron Luna gets hurt and retires. (He runs a screenprinter with The Chase Daniel. He specializes in client relations and uses his strong analytical skills to proactively develop and improve their products and services.) Charles Cutler is not a catcher after all, and the Cardinals let him go in the AA Rule 5 draft. (He keeps hitting, and then gets selected in the AAA Rule 5 draft.) Kolten Wong (1) and Charlie Tilson (2) and Lance Jeffries (10), Patrick Wisdom (1s) Carson Kelly (2), Rowan Wick (9) doing to short-season ball what we'd hoped Brett Wallace would. Kevin Siegrist (41) hasn't really struck anybody out, but he's left-handed and nobody's hitting him very hard. Put him on the list. Niko Vasquez leaves the organization and joins the Joliet Slammers. In 2013 and 2014 the last 2008 picks standing filter up for their cups of coffee. Jermaine Curtis draws a major league walk, Eric Fornatero (6) turns getting crowded out of the Memphis rotation into a trip to St. Louis. Xavier Scruggs may stick around if only he were really an outfielder. And maybe this is the year Charles Cutler cracks a roster. Here in 2015, it turns out, we were right to be roughly as excited on Jeff Luhnow's say-so and the idea that he would have been drafted higher only he's a Lieutenant in the Navy as we were about 200 good short-season at-bats. Mitch Harris got off the boat, realized he couldn't top 80 with his fastball anymore, and got pushed through the low minors, where all his draftmates had last been seen, because there just wasn't anywhere else to put him. The numbers were never great, but there weren't very many of him. And his fastball got better, we've heard. He's a minor league veteran, only he isn't. The window has closed, only it hasn't. He is the end of the 2008 draft.